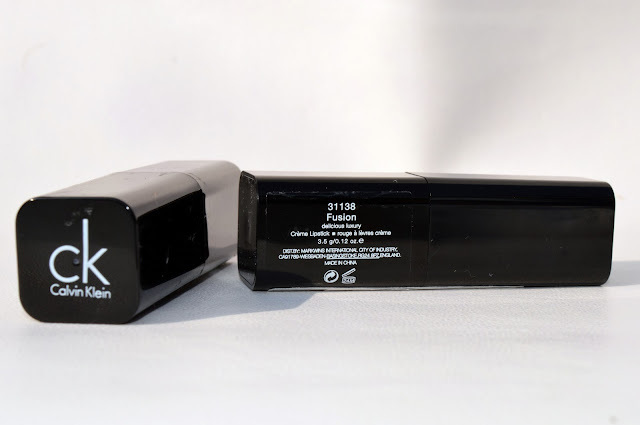 Today a post on one of my favourite lipsticks! The CK delicious luxury cream lipstick. 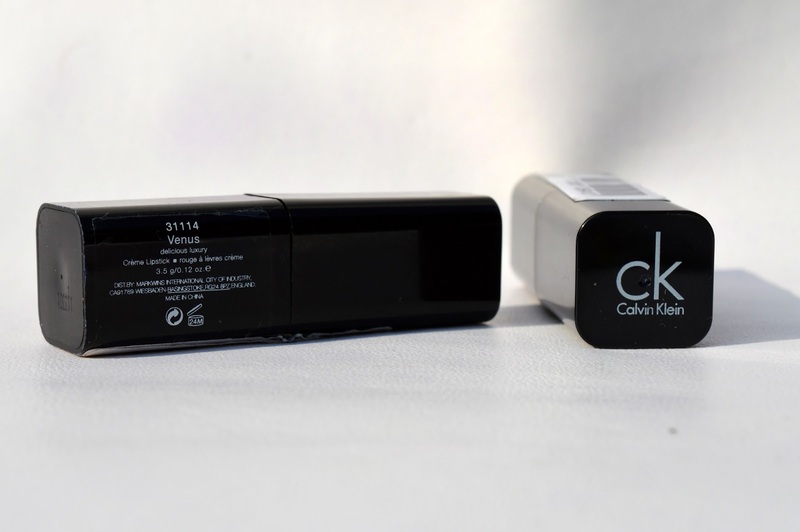 This lipstick has a very nice pigmentation and is really easy to wear. The colors are so awesome! I love the fact that these lipsticks are also good for your lips. The CK lipstick nourishes your lips. The colors I bought are Venus and Fusion. Venus is a beautiful light 'red-ish' shade wish is wearable on every day, for every occasion! 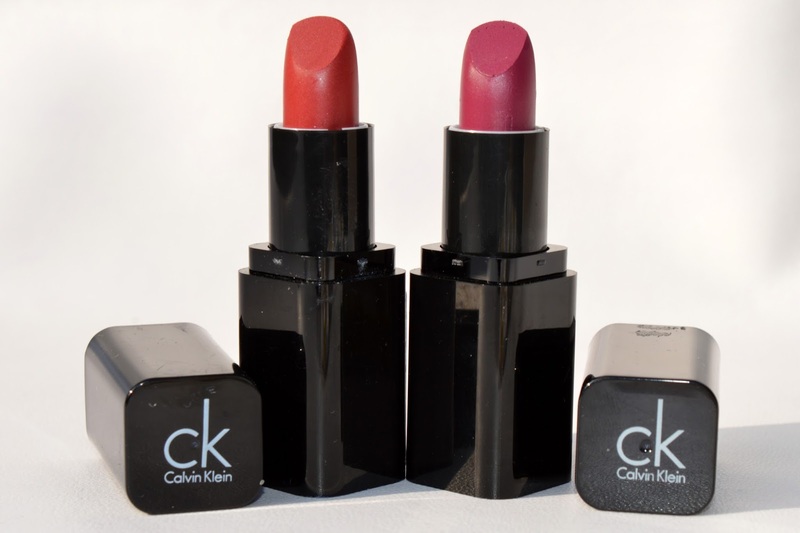 Fusion is more of a purple shade wish makes your looks more glamorous. The first swatch you see on the picture is the color Venus. 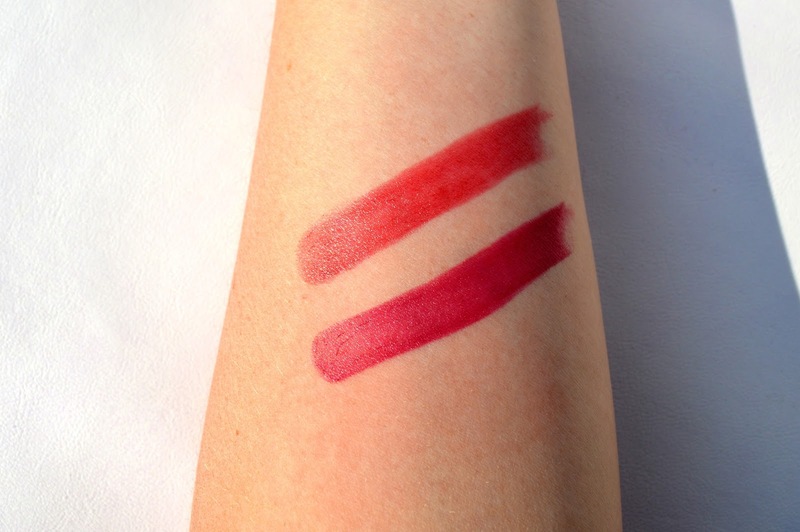 The bottom swatch is Fusion. 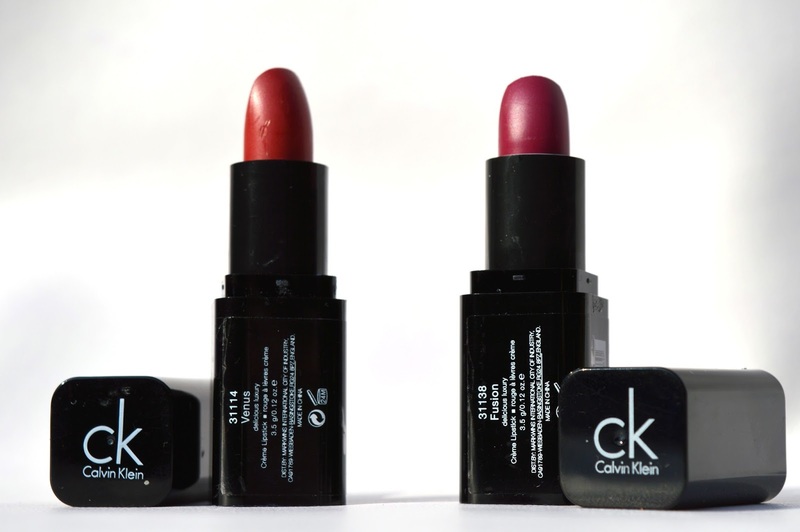 These lipsticks lasts for a long time on your lips and they feel really soft. In Belgium and The Netherlands you can buy these lipsticks for 2,89€ in Action stores. When they are out of stock, or you are from another country, you can also buy them in online stores like Amazon. My favourite color is Fusion.